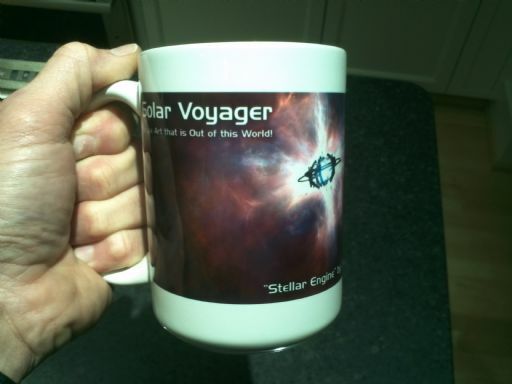 Finally remembered to snap a photo of my "Stellar Engine" mug! This is a really cool concept, and appropriate because the coffee I drink from it fuels my engine! I would definitely buy a calendar (I still need one for 2012 so let's get on it!! ), probably a t shirt too. Clocks could be cool too .... hmmm I'll have to take a look at what kind of other stuff Cafepress offers, there's quite a lot isn't there? Question for Tom: why does this thread not show up in the SV news section? It shows up on the bottom of the home page, but i can't find it in the news section? a front page news item, but I'll check it out.